Product prices and availability are accurate as of 2019-04-18 17:15:09 UTC and are subject to change. Any price and availability information displayed on http://www.amazon.com/ at the time of purchase will apply to the purchase of this product. 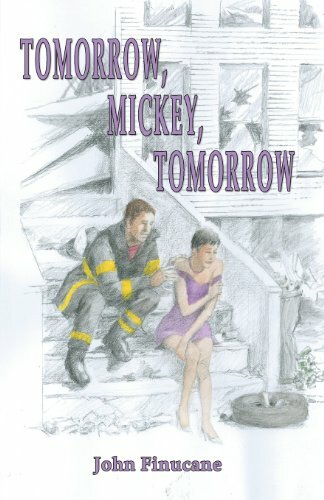 Author Bookstand is proud to offer Tomorrow, Mickey Tomorrow by Bookstand Publishing. Bookstand Publishing offers books by the best indie authors throughout North America and the world. Bookstand Publishing is dedicated to offering original content to a broad audience and promoting great authors, literacy, and freedom of expression. Tomorrow, Mickey Tomorrow has generated a lot of interest and excitement and we think it would be an excellent addition to your library. As a child, Mickey Murphy first meets Lucy "Little Angel" Mercado outside a burning tenement on the streets of the South Bronx in 1954. After growing up together and sharing a forbidden interracial romance, Mickey is horrified to watch as Lucy descends into the hell of drug addiction more powerful than any love he can offer her. To escape the heartache, Mickey flees his neighborhood. When he returns years later as a fireman, Mickey realizes his love for his "Little Angel" has never let his heart go. 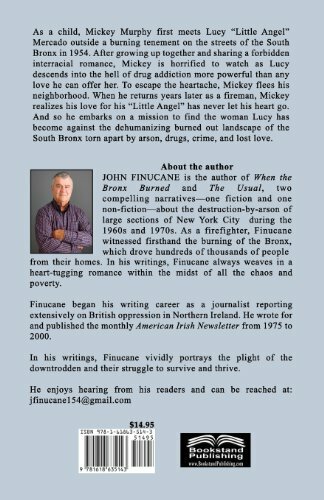 And so he embarks on a mission to find the woman Lucy has become against the dehumanizing burned out landscape of the South Bronx torn apart by arson, drugs, crime, and lost love . . .